I don't think. But you can test if it happens to you with other localizations. The problem again repeated after 15 minutes of play. I don't know what to do. I'm not entirely sure this is a bug. I've tried applying the fixes above. 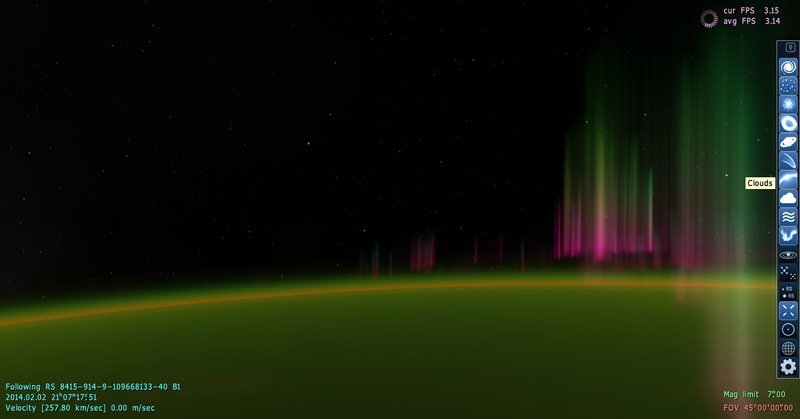 Originally I could only keep Space Engine open for a few minutes before it crashed. It's stable now, but I'm having trouble with textures. I've only been able to see the textures of Venus, Jupiter, Saturn, Uranus, and Neptune with atmospheres on. Turned off I can see the Earth and Sun textures. It just shows a black sphere. I have some screenshots of the issue I'm having and I attached the se.log file. I would say corrupt atmosphere models, but Uranus uses Earth's model, and Pluto uses Jupiter's model, so if that was the case all four objects would be dark. I'm not sure what the problem might be, but you can try to change IgnoreShaderBinary to true in the main.cfg file. Then delete the cache folder and start the program. I doubt that's the issue, but it's the only thing I can think to try at the moment. Gas Gianlt clound are always too high, and they mask the atmosphere. It's my husband's desktop he built himself and he's using the most stable drivers for the cards unfortunately. On my desktop, I've had to keep the original drivers it came with because the new ones were so terrible. Strangely, our gaming laptop displays all the atmosphere models just fine and it's not as powerful as the desktops. =S So weird. After installing latest windows updates, I have seen a dramatic increase in fps and loading times of SE 0.9.7.1! I am using latest NVidia drivers (332.21) and before today's windows updates I had around 20-30fps around planets at low altitude orbit (sometime less then 20), and now I hardly go below 30! 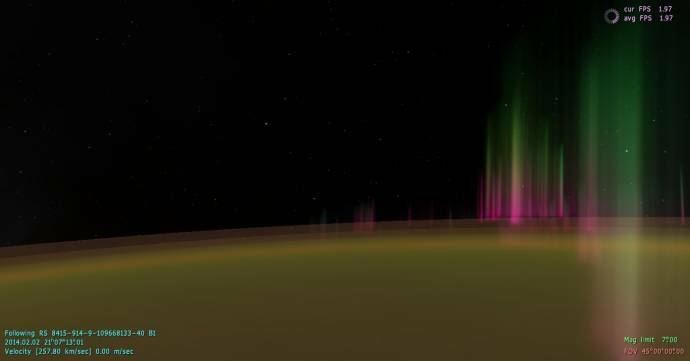 When viewing procedural planet surface from 250-260km orbiting altitude at LOD0, i even get around 50-60fps! and sometimes above that! I also noticed that my gpu is working at full speed now (when running SE), when before it was iddling as if it had entered power saving mode even while running SE! Hi, I'm new here, so I'm sorry if this question's already been answered. I've been able to run the program a few times, but now it doesn't work. When I click the icon it loads fine, but then it doesn't start. My taskbar has the icon which says it's running, but the window doesn't appear. Moved your post here and sent you a quick PM. Please attach your se.log file to help us assist you. Yup, I can now confirm that retrogade orbiting moons aren't generating. 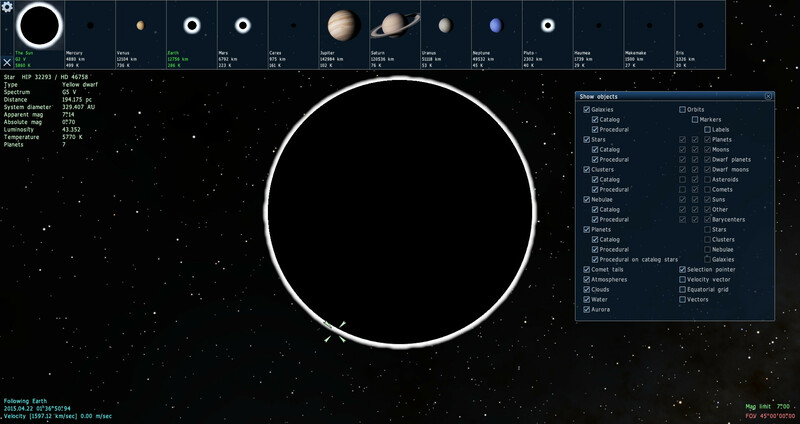 I just went to a gas giant with 76 moons, out of which 67 were outer irregular ones. I checked the inclination of every single one of them, and none were larger than 90 degrees. In fact, I ran into a few moons with 87 or 88 degrees of inclination, but never was it at 90 or above, so I am assuming that 90 degrees is some sort of limit. 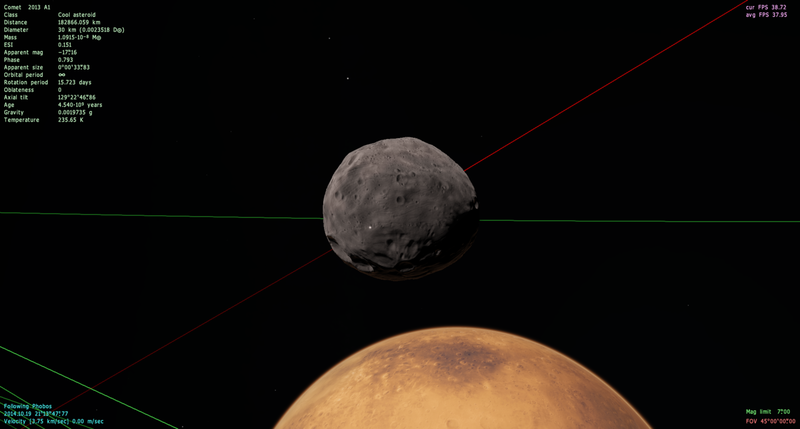 This is unrealistic, since around 85% of outer irregular moons should be in retrogarde orbit. I'm pretty new here I'm sorry if something like this seems redundant I've been learning SE but I've encountered some things that are bugging me. I can run this program fine on my gaming laptop 60 FPS etc etc it runs flawless, but when I try and run it on my Desktop/Main PC it crashes upon moving the mouse to look in different directions right after its done loading the planetarium. I have updated video card drivers etc etc and nothing is helping. and yet it wont even play on my computer without crashing upon looking around. if there's a fix for this that would be great, even if you guys cant help any information on something in my computer that would be causing crashes would be very helpful to. I'm not frustrated or anything I'm just boggled that it doesn't run on my main PC..
Hey SplitResonator, sorry for your trouble. Your hardware definitely meets the recommended requirements so I don't think there's any problem there, but we'll have to see your se.log to see where/why this crash is occurring. Could you attach it please? I seem to have plenty of crashes lately on SpaceEngine. So, here is the story: First time running- runned fine until i went deep underwater and runtime error'd me. 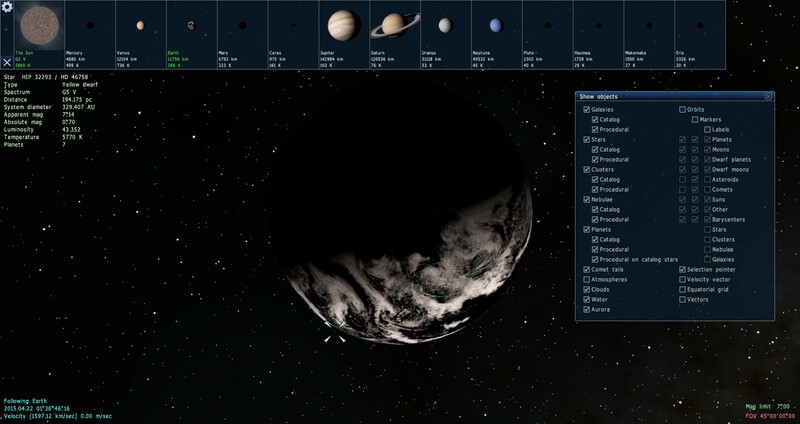 Second time running-Was messing around with the moon of the planet I start on (eg. turning it into a star, etc.) and it crashed after some time. Third time running- Just began, loaded a bit, screen turned black, after a few seconds it crashed, and TRASHED my desktop. In order to stop the glitch, I used CTRL+ALT+DEL to get rid of it. 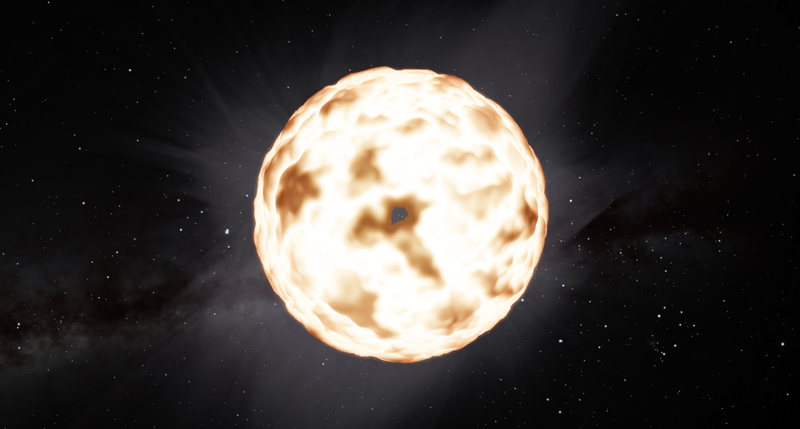 After a while of loading, Space Engine closed along with the error. This glitch is starting to get on my nerves. Anybody know how to fix this? I really want to continue playing this. You should have posted this in the general troublshooting and bug report thread. Also, you need to post your se.log file so it is understandable what exactly your problem is. I get a crash a minute after everything has loaded successfully. I deleted the cache and restarted and same problem. Any ideas? You need to attach your log. Read the opening post.